We know how important your pet is to you and your family. That’s why we’ll always give them the best care possible. We are a full service animal hospital offering regular health assessments, dentistry, and vaccinations with an emphasis on preventive care. We also provide medical and surgical consultations and a wide range of diagnostics, medical treatments, and surgical services utilizing current anesthetic procedures and appropriate pain management. Our educated and experienced team of veterinarians and office staff always prioritize you and your pet with empathic and collaborative care so that you will have a comprehensive understanding of your pet’s medical status in order to make informed decisions about their health. Rest assured that your pet’s wellbeing and comfort are our primary concerns. To get started, fill out our New Client Form or call 604-274-9938. We look forward to meeting you and your special companion! Professionalism and excellence in veterinary care. At Steveston Veterinary Hospital we promote a warm, relaxed, yet professional environment. Our friendly staff will greet you when you arrive and promptly check your pet in – your time is very important to us! Our veterinarian will start by asking about your pet’s medical history, current condition and the reason for your visit. He/she will then perform a complete physical examination, address any immediate concerns, discuss the medical assessment, and formulate a plan going forward. Questions and open dialogue are encouraged! If additional testing is needed, Steveston Veterinary Hospital is a modern facility with state of the art diagnostic equipment and laboratory services. We look forward to meeting you and your pets. We hope you enjoy your visit and the service we provide, and we would be delighted to see you again. Welcome! Come and Take a look around! 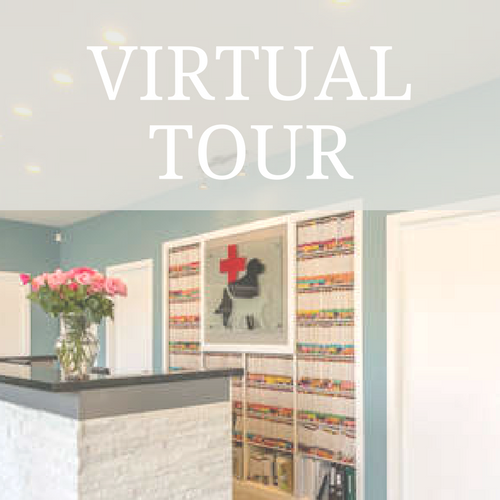 Our spacious animal hospital located in Richmond, BC contains a bright waiting area, private examination rooms, a state of the art, fully-equipped operating room, and two separate wards with comfortable and secure holding areas for your special friend. We also have separate cat and dog entrances to our reception area.